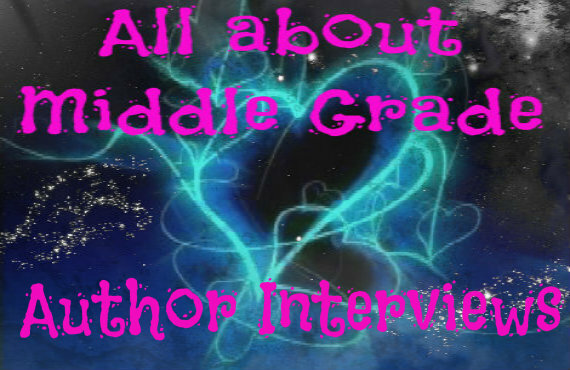 For the first All About Middle Grade Interview of 2014, I am very excited to welcome Louise Galveston, author of By the Grace of Todd, to the blog. I hope y'all will give her a very warm welcome. 1. By the Grace of Todd sounds like quite the fun read. Since you created Todd, what are the first three words that come to mind when trying to describe him? So, what to the Toddlians look like??? The Toddlians spawned from the grunge on Todd's not-so-lucky baseball sock, therefore they look exactly like ant-sized versions of himself--even the females! 2. Other than his, accidental, creation of the Toddlians, what else is in store for Todd in your book? Todd's big dream is to attain coolness and avoid the swirly lords of sixth-grade as he enters middle school. 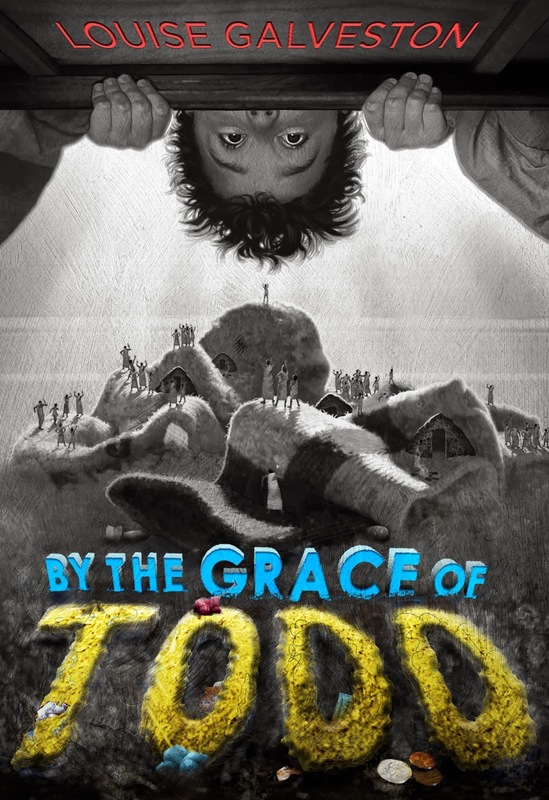 When Max, (a massive behemoth of a sixth-grader who Todd thinks is "Mr. Cool" himself) befriends Todd, he just knows his dream is coming true. But then Max discovers the Toddlians, and things get pretty hairy (and scary). The Toddlians narrate some of the chapters, so readers get to journey with them as they travel from the safety of underneath Todd's bed into the wild world of middle school. We follow each of the three main Toddlians, (Lewis, Herman, and Persephone) on their adventures as well. 3. Louise, how'd you come up with the basis of the story-line for By the Grace of Todd? I was actually approached by my editor who asked me if I was interested in writing a story about a boy who found a civilization on his filthy sock. I have five sons, which makes me something of an authority on stinky socks; how could I resist? It was easy to get Todd into all kinds of trouble once I started writing because I related to his awkwardness, and I pulled from my own experience to develop the other characters. For example, Persephone, the Toddlian, sees a John Wayne film and becomes a self-styled cowgirl. My dad is a huge John Wayne fan and I've even written a Western musical. Daisy, Todd's evil genius baby sister, is remarkably like my own little girl.. (except my daughter doesn't sabotage her brothers' rooms, to my knowledge.) And then there's Princess VanderPuff, Todd's mom's demented poodle--I had a few of those growing up, too. 4. As the release date nears, how are you feeling about launching By the Grace of Todd into the wide world of reading? Nervous, excited or both? Oh, both! But every day I'm getting less nervous and more excited. I had so much fun writing the book and developing the characters…I can't wait to share them! 5. Time for a little fill-in-the-blank fun: "When I was twelve, I wanted to be ____?" Now what was that twelve-year old you's dream job? A veterinarian. Or a pet shop owner. I was an animal fanatic and raised just about any little critter you can name (including hermit crabs--although I took better care of mine than Todd does of his--poor Leonardo da Pinchy!) Of course, I was horse-obsessed, too, so I'd have settled for a few hundred acres of Kentucky bluegrass for my world-class stables! 6. Since we're at the beginning of a new year, can you tell us your favorite MG read from 2013 and why you liked it? 7. So, what is your current favorite animal and why it's special to you? We have a Nanday Conure parrot named BB. He was my late mother-in-law's baby, and he sounds just like her when he talks! Pippi Longstocking would make short work of those robots, I'm thinking. I loved Pippi so much that I used to try and sleep under my covers with my feet on the pillow, the way she did. I say "tried," because I guess I'm a little claustrophobic. That girl can do anything! I have my "office" in a corner of our living room. This old roll-top belonged to my grandmother and I love all the little cubbies because I am unfortunately more of a crammer than a filer. 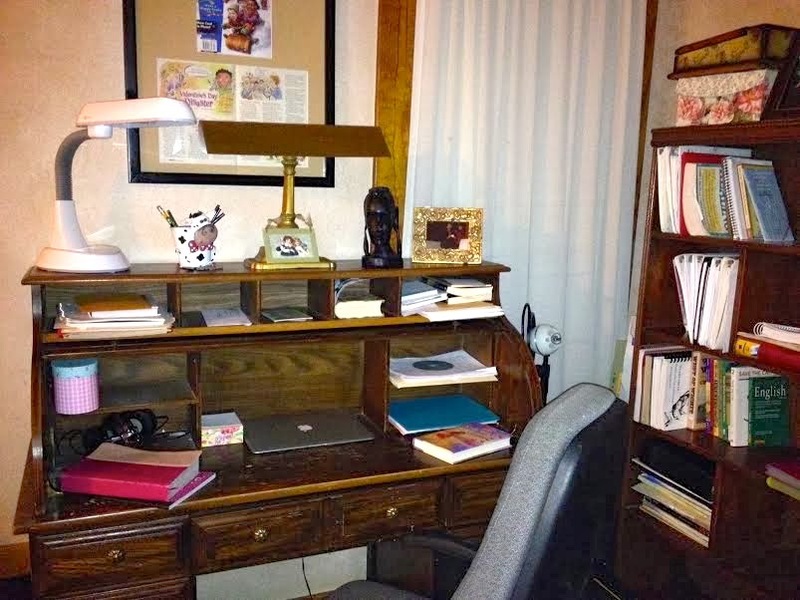 It's deceptively tidy right now because I went on a cleaning spree over the holidays. I have a "sunshine" lamp because I do most of writing at night when the kids are in bed. I've just finished my first round of edits on the sequel to BY THE GRACE OF TODD. Todd gets his first crush, joins the swim team, and has to rescue the Toddlians (multiple times), because like a recurring nightmare, Max just won't go away. In fact, he practically moves in. There are lots more Toddlian-narrated chapters in this book, which is super fun! I'm also working on a funny sci-fi chapter book series but it's still under wraps right now. Thanks so much for having me, Orchid! 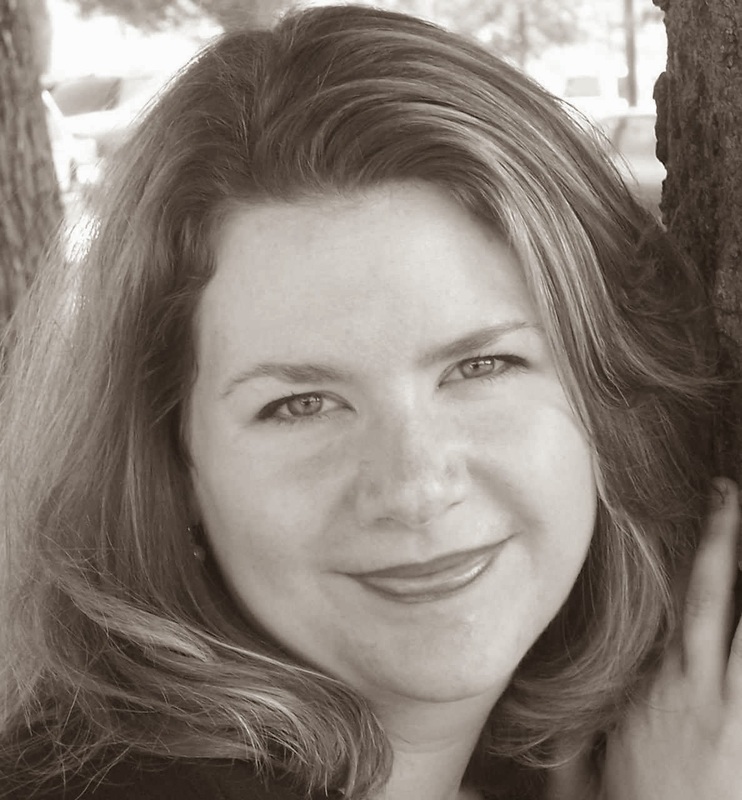 Louise, thank you so much for stopping by and talking about your debut, By the Grace of Todd, and books with us today. Love the idea of your book and cannot wait till it hits shelves. By the Grace of Todd by Louise Galveston, February 27, 2014. Published by Razorbill. Twelve-year-old Todd has created life through sheer grossness.How did he become an accidental god? Ingredient A: A worn athletic sockIngredient B: Dirt from the Great and Powerful Todd himselfInstructions: Leave under bed for months. Do not clean room. Don't forget, you can add Louise Galveston's debut By the Grace of Todd to your Goodreads shelf. Thanks for the excellent interview, Orchid! Thank you, Louise, for stopping by. 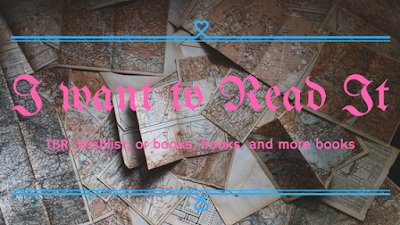 I enjoyed having you on the blog and getting to know more about your book.